Fall has arrived! 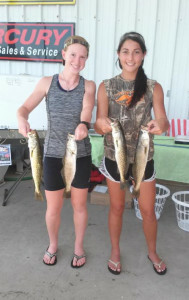 Fantastic temperatures, and the fishing just keeps getting better after a slow and sweltering summer. It was a great scallop season, but now let’s get down to business. 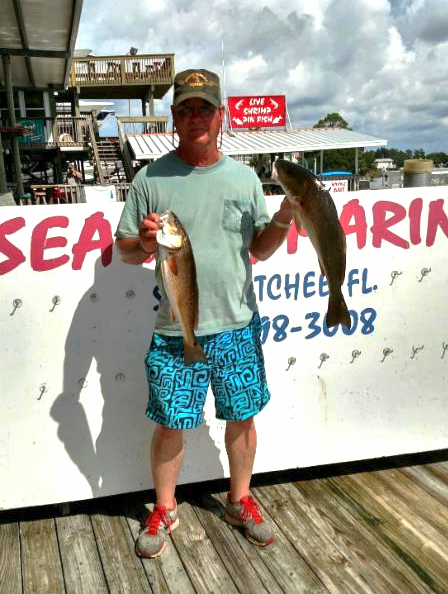 The redfish have been available in their usual haunts, close to the marshline and around any rocky areas on higher tides, and moving out onto the flats as the water (and baitfish) move out with them. The water is gradually clearing, and finding some points and rocky areas with schools of baitfish will put you on the right track. There are some great schools of whitebait, attracting trout back onto the flats and into the creeks on flood tides, and those schools are also out in the nearshore areas several miles offshore, attracting lots of bluefish and Spanish mackerel action. 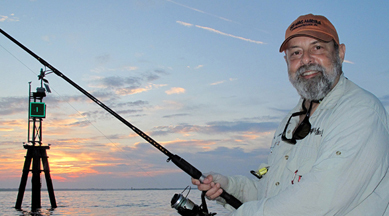 Ladyfish are everywhere, and lots of sharks are around to give your line a great pull. Areas like the 9 Mile Bank, Little Bank and One Way Bar have been holding good numbers of schools of bait. 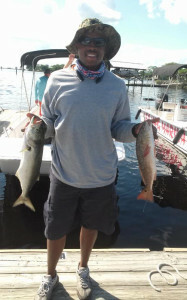 Although trout are still lagging a little behind, there have been a good number of keeper fish taken, both on the flats and in 6 to 8 feet of water over mixed bottom. Cobia have been hanging around offshore structure along with migrating kingfish. Gags are there, but by far the most efficient way to get them is diving. 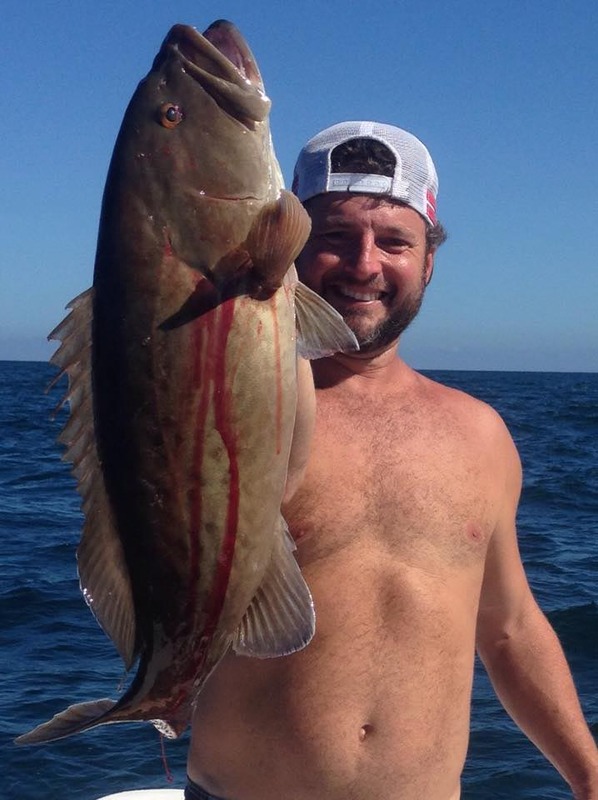 Sea Hag masters Derek Snyder and the entire Norwood family have come back with some massive grouper, and this is the time of year to give spearfishing a try. Our ship’s store has everything you need for diving, from spearguns to tanks. Here are some pictures from this past month…..
Paul Millard scored with this beautiful grouper. 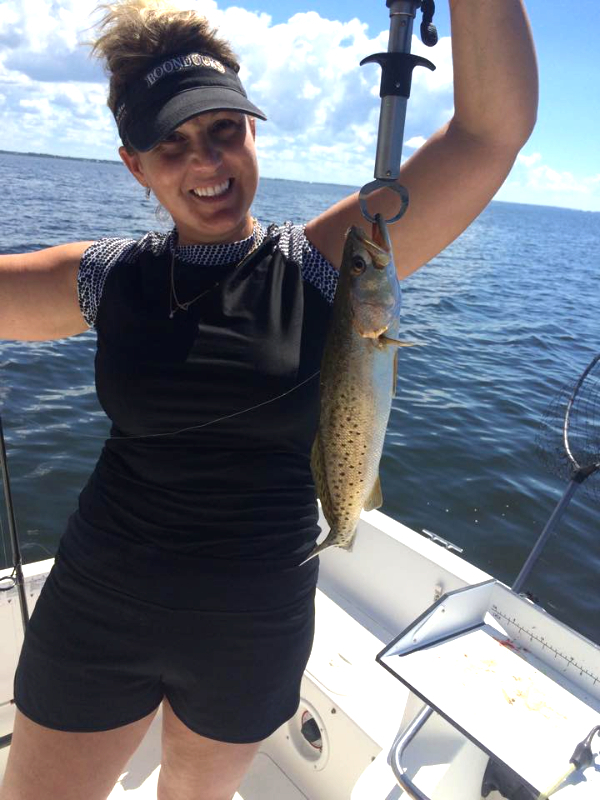 Amber Arnold with a keeper trout. Billy Pillow and Pat McGriff with the big trout in the county Trout Tournament. Clark and Lisa Gey, Derek Snyder and Chase Norwood with a great assortment of grouper, snapper and hog snapper. 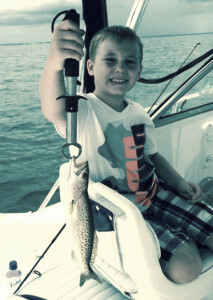 It’s not a huge one, but Jackson Arnold loved catching this trout. Craig Giles with the winning redfish in the county Trout Tournament. Kennedy Clark got this nice sheepshead with a little help from her dad. 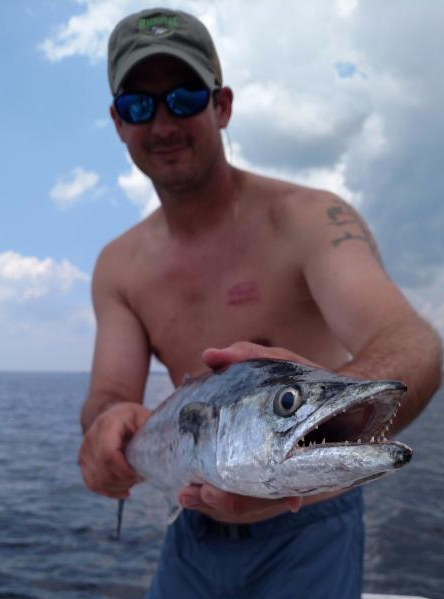 Scott Clark with a nice kingfish. Tim Colwell from Blairsville, Georgia with a hefty bull shark. Troy Charles, Jr. with an excellent redfish. 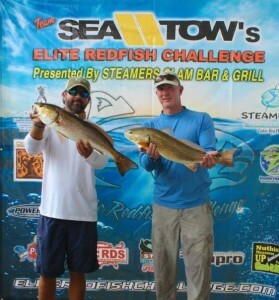 Our own Scott Peters and Danny Sheldon finished a close second in the Elite Redfish Challenge. 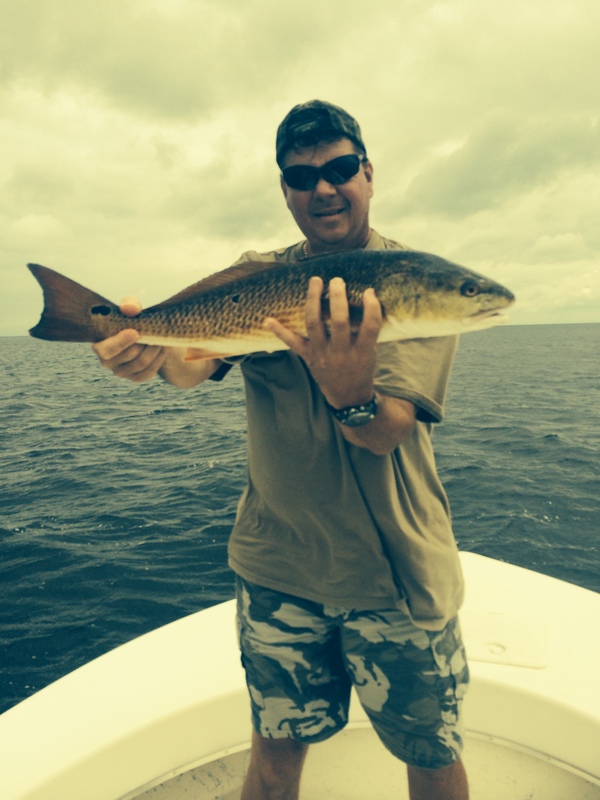 Jody Cooper from Gainesville with a redfish and a bluefish. He couldn’t find a whitefish. 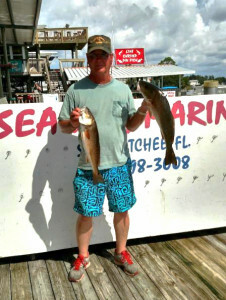 Bill Griffith from Fernandina with a nice pair of redfish. 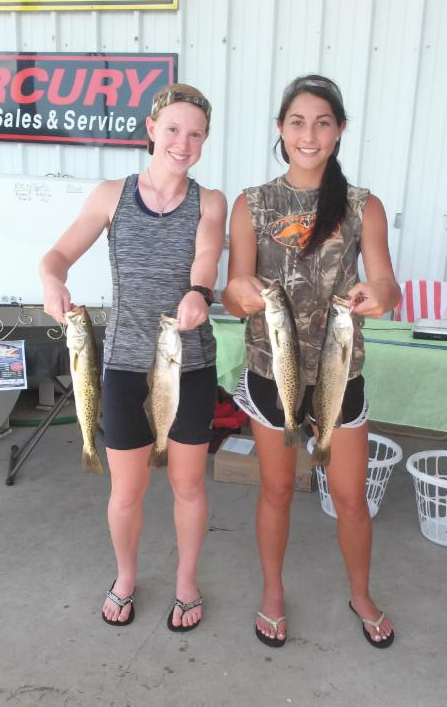 Jaye Carter and Hailey Raulerson, Lady Raiders softball players, fished the fundraising tournament for their team and found these great trout. I love Steinhatchee in the fall. 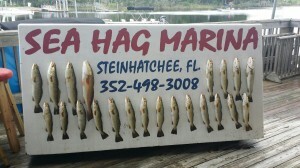 Great weather, cool water, and a great fishery. This is the month that larger redfish will begin to school in preparation for their trip offshore, never to return. 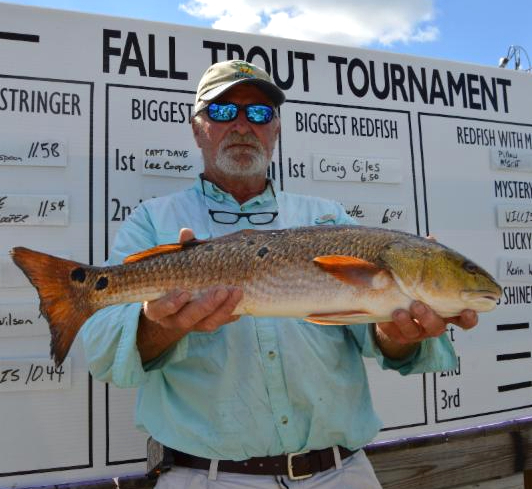 Schools of large upper and overslot fish will be in shallow water for the next two months. Watch for them on the surface. If you spook a school of fish while running, come off plane and wait a while, trying to keep them in sight, and work your way very slowly into casting range. Occasionally you’ll see schools moving rapidly and sometimes you can estimate their path and try and get several hundred yards in front of them. Be very stealthy; they will move away with any noise whatsoever. No hatch closures, dropping tackle on the deck of the boat….that will spook them. 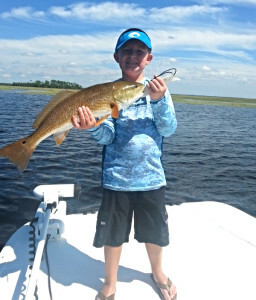 Fish shallow marshlines or rockpiles on flood tides with just about anything…topwater or suspending plugs, jigs with soft tails, live shrimp or cut bait floated under a cork along the grass or structure. Look around the offshore bars noted earlier in this report for schools of baitfish and as the water continues to clear, trout will be moving into shallower water over mixed sand and grass. Plugs early in the morning or Gulp baits under popping corks will do well. Some of the traditional areas (like the area called Doghead, north of the Bird Rack) will get a lot more action this month. 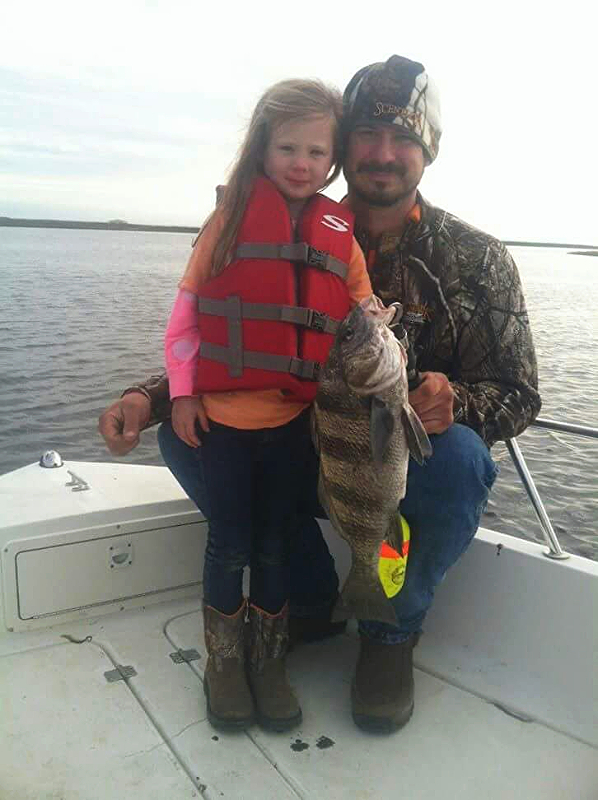 In federal waters, gag grouper are in season until early December, so try trolling lipped plugs or fishing live pinfish (available at the Ship’s Store) over structure or “Swiss cheese bottom” in 30 to 80 feet. 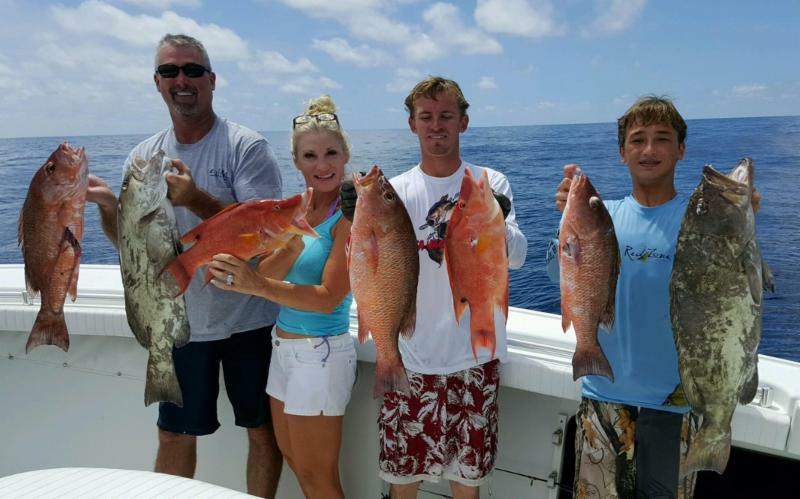 Red snapper can be taken on Saturdays and Sundays this month, and the last day of the season is November 1. Fish closer structure (including the Steinhatchee Reef) for the occasional grouper, kingfish or cobia. 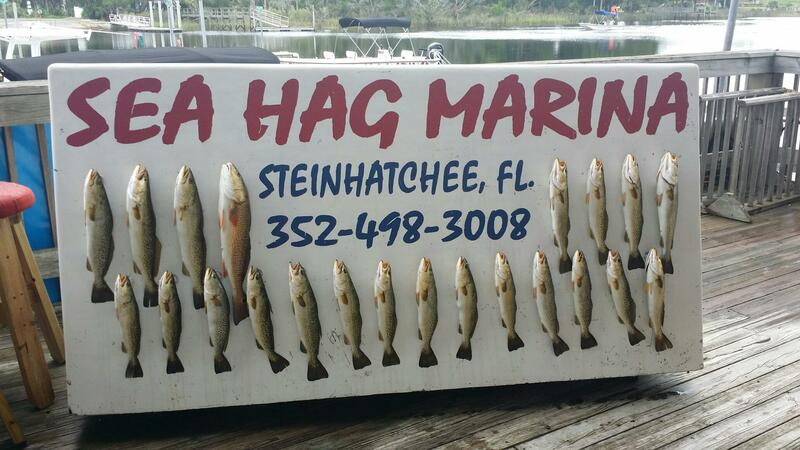 This is one of the best months of the year for all our species, so take advantage and come by the marina for up-to-date information about what’s biting, and all your tackle and bait needs. October is finally here. Fall is beginning, the waters are cooling & the fishing is heating up! 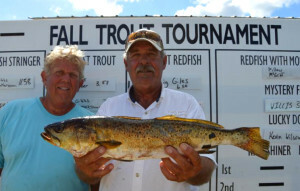 The trout are starting to show up all along the coast with plenty of other fish too. 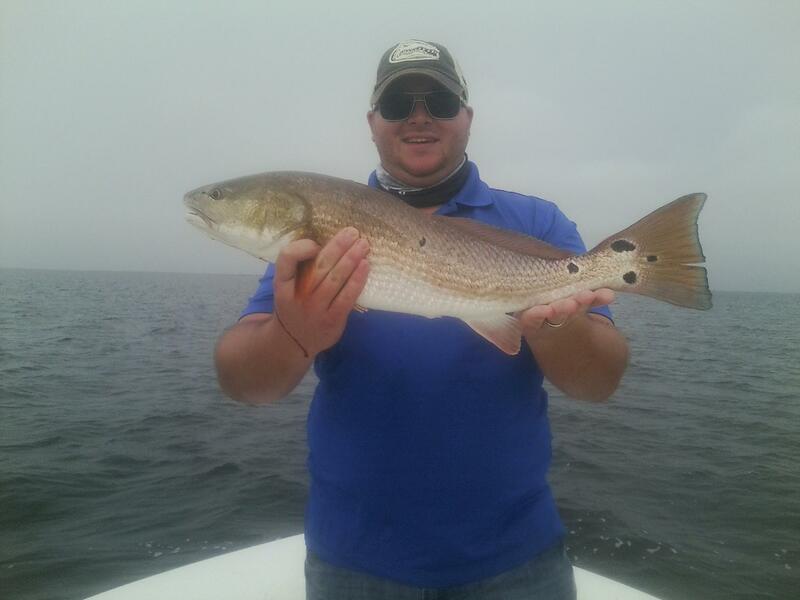 Redfish are starting to move into the deeper part of the shallows to feed on the baitfish there. 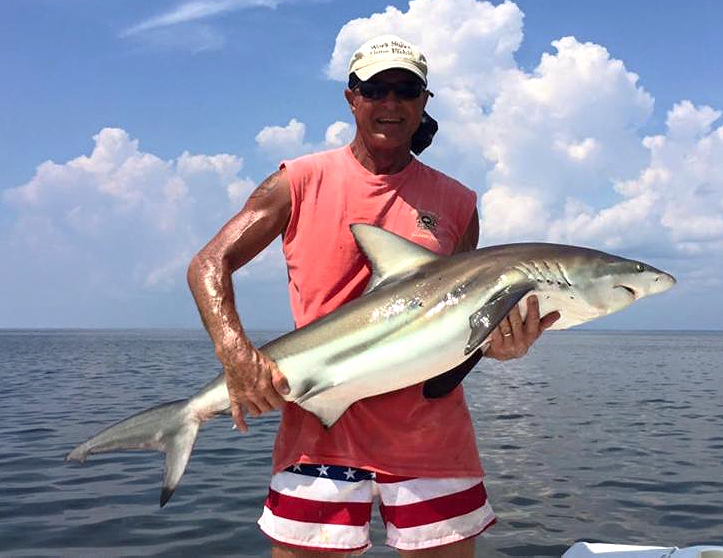 Lots of ladyfish & bluefish around the schools of bait & still some Spanish & sharks. Fall dates are going quick!